Back to the roots? The name reveals it all: The Analog clock isn't only a good distraction from the digital era with the analogue clockwork, but it also enriches every wall aesthetically. 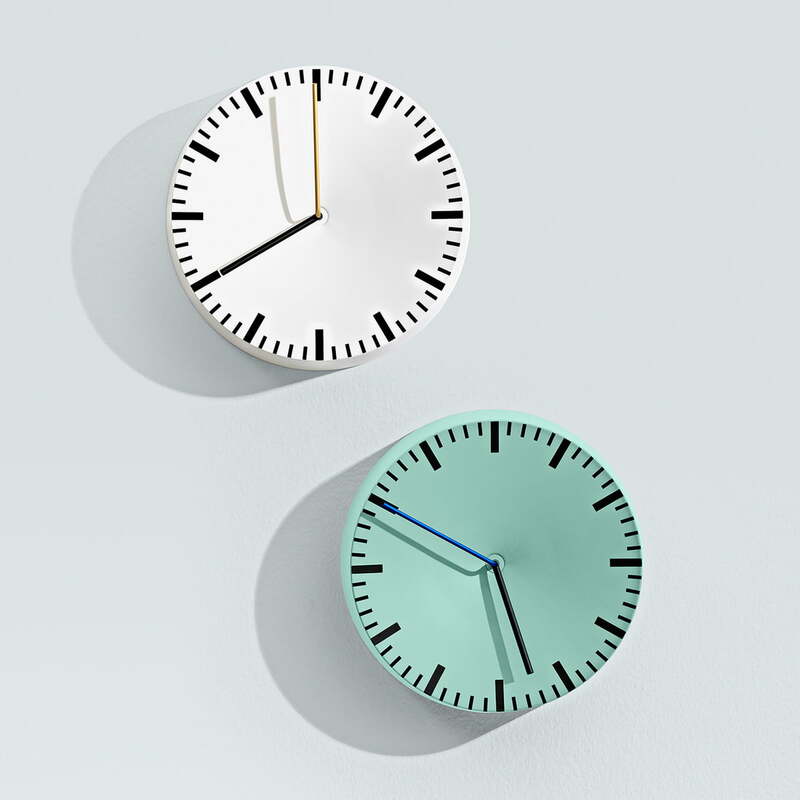 The dial is curved to the inside, which offers a kind of interesting plasticity to the appearance of the wall clock, leading to an interplay of shadows of the pointers. The pointers themselves don't only grow out of the dial in order to be easily readable, but they are also different from each other because of the different colours of them, to be recognized without any problems. The white edition is completed with a gold-plated minutes pointer and the mint edition has a colourful accent because of the blue minutes pointer. 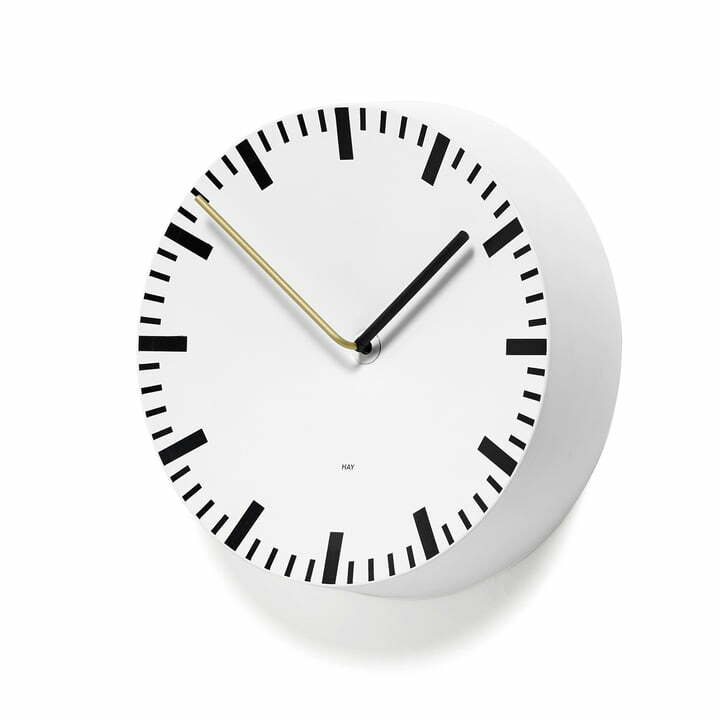 The Analog wall clock by Hay is an iconic piece of design, which partly reminds us of a train station clock because of the classic lines pattern of the dial. The small details of the Analog clock give an individual charm to the aluminium object, which differentiates it from ancient clocks, in order to be contemporaneous in this digital age. thank you for I did get the beautiful watch if I've never seen before. thank you thank you, Especially the design element is too good. I love the combination of colors.